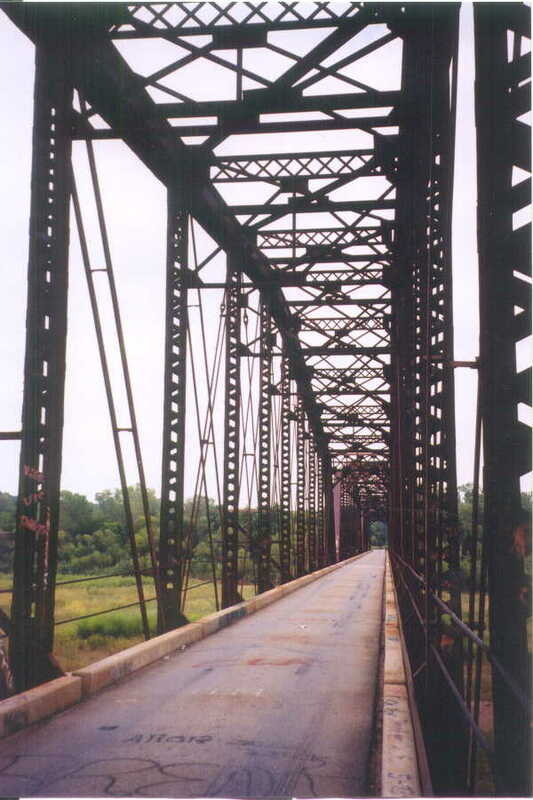 This bridge was constructed originally in 1902 as a railroad bridge. It consists of three span each measuring 265 feet in length. The spans are pin-connected Camel-back trusses. 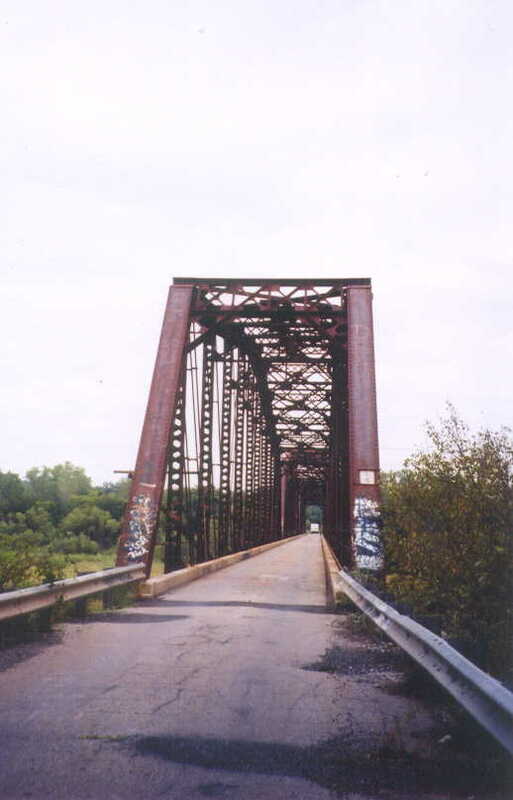 You may read more about the history of this bridge from an article in the Purcell Register. The bridge is constructed completely form plates and angles. The lower chord consists of six bars on each side, with a built up section in the first two panels of each end. Below, the remaining half of the builder's plaque, mounted on the endpost. 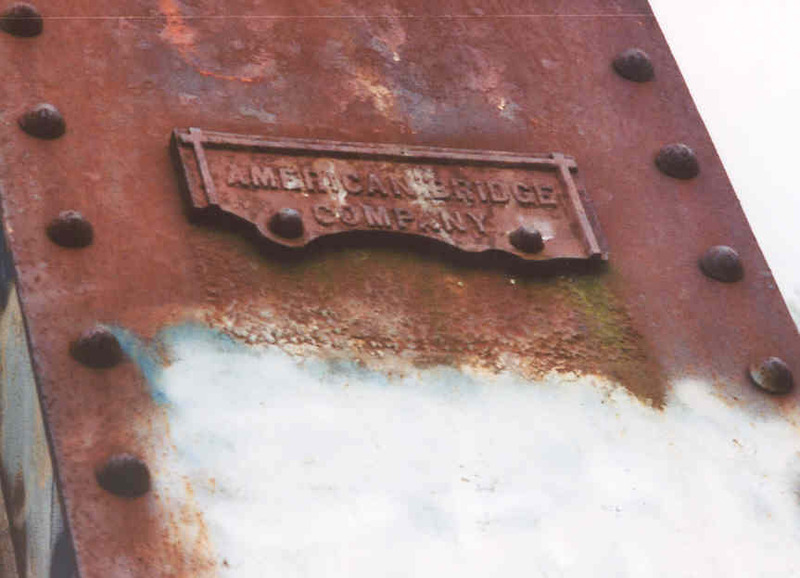 The bridge was built by The American Bridge Company. Below, a close angle view of the side of the bridge. Getting a flat side view of a bridge this size would be difficult with the surrounding geography. The unique shape of the camelback design is much clearer in this view. Below, a slightly 'flatter' view from the side. A wide-angle lens would be of great help on bridges such as this.